1. There are methods of reporting PQRS that have a much higher success rate and require less administrative work than the claims-based or individual measures reporting that are so labor intensive and prone to errors. EHR-based reporting(www.cms.gov) is one option, but if you are not ready for that, registry-based reporting is another. This option requires using a registry to report on one measures group for 30 Medicare patients. The 2009 success rate for family physicians taking this approach was 97 percent. The success rate for claims-based reporting of three individual measures was 47 percent. 2. The AAFP has partnered with CECity to offer a discounted price for use of a web-based registry and reporting tool, PQRI-wizard(aafp.pqriwizard.com), which CMS has designated as a qualified registry for PQRS reporting. This tool allows family physicians and their staff to enter data for one measures group into the registry program for the required 30 Medicare patients and receive validation alerts to avoid submission errors. PQRI-wizard monitors your progress, calculates your measures and provides a printable, real-time report of your performance rates. 3. The incentive payment for successful PQRS participation in 2011 is one percent of total estimated allowed charges for Medicare Part B Physician Fee Schedule (MPFS) covered professional services furnished during that same period. In 2009, when the incentive payment was two percent of these charges, the average amount paid to family physicians was $1,126. Because the incentive is lower in 2011, the average may be around $550 per physician but will vary based on the Medicare charges billed per physician. The percent of charges on which the incentive payment is based is set to decrease until it is eliminated. 4. Beginning in 2015, a 1.5 percent penalty may be applied to physicians' MPFS payments for failure to satisfactorily report PQRS measures. The Affordable Care Act mandates that the MPFS amount paid during the year shall be reduced by 1.5 percent for 2015 and 2.0 percent for 2016 and each subsequent year for physicians and providers who have not successfully reported in the reporting period established by CMS. I know that the incentive payment amount (less the fee for using a registry tool such as PQRI-wizard) is hardly an effective incentive. However, if you choose to attempt PQRS, why not use the reporting method that requires the least amount of your time and expertise and gives you a better chance at successful reporting? The return on your investment in PQRS reporting may be in the data itself – to show your quality of care and to inform quality initiatives that will support your practice in a value-based payment environment. 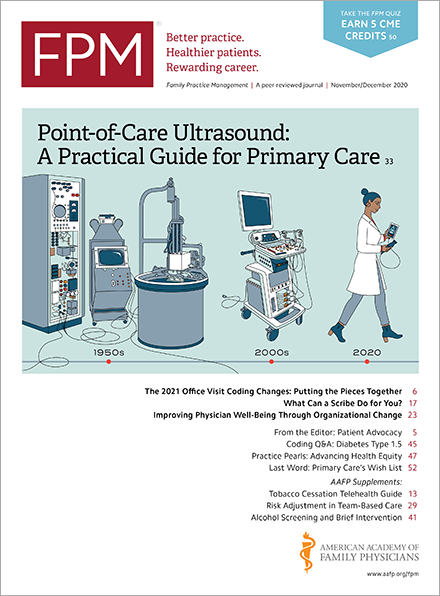 In the May/June issue of FPM, Bruce Bagley, MD, and Jason Mitchell, MD, describe how to get started.